Be the first to hear about their new releases and deals. 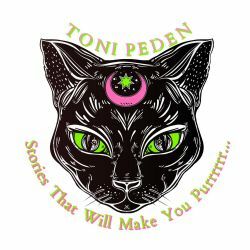 Download the Booksprout app and search for Toni Peden today! Toni is a stay at home wife and mother living in rural Alabama with her husband, daughter, and two dogs, Trixie and Dixie. When she isn’t writing, she can be found reading or spending time with her family and friends. Even though winter is her favorite season, she enjoys the summer months because that means spending time on the lake with her favorite mermaid princess. She loves tattoos, rock, coffee, traveling (not necessarily in that order). Her biggest traveling dream is to visit Ireland.